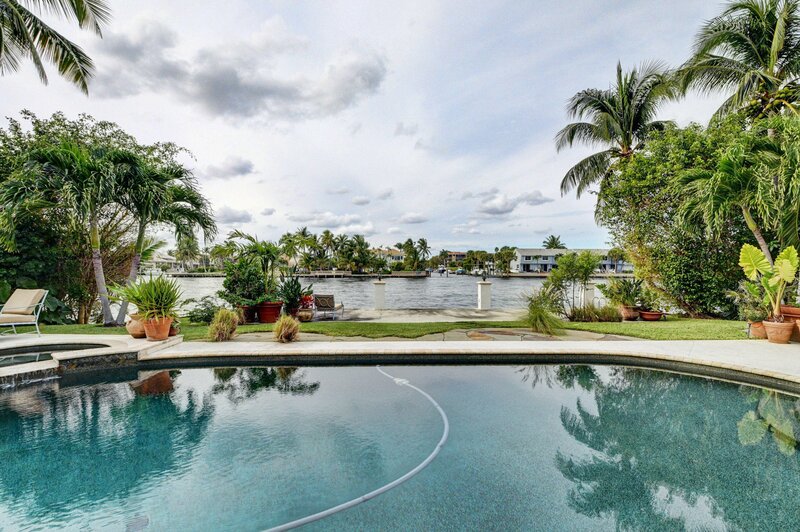 With $150,000 PRICE REDUCTION, this is now priced at LOT VALUE! 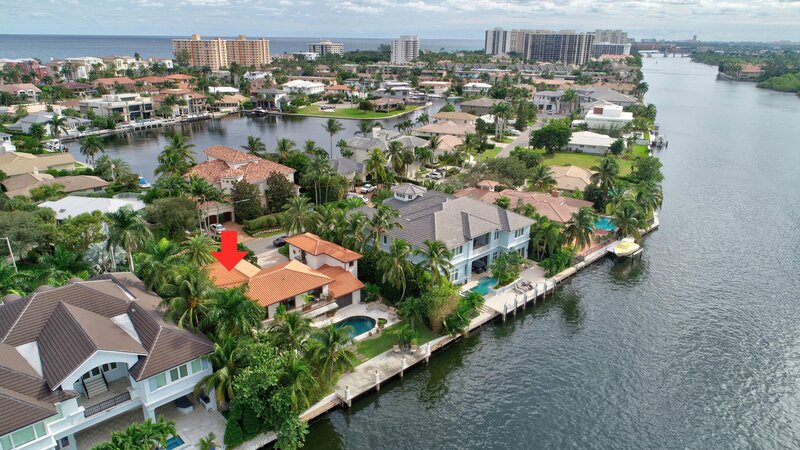 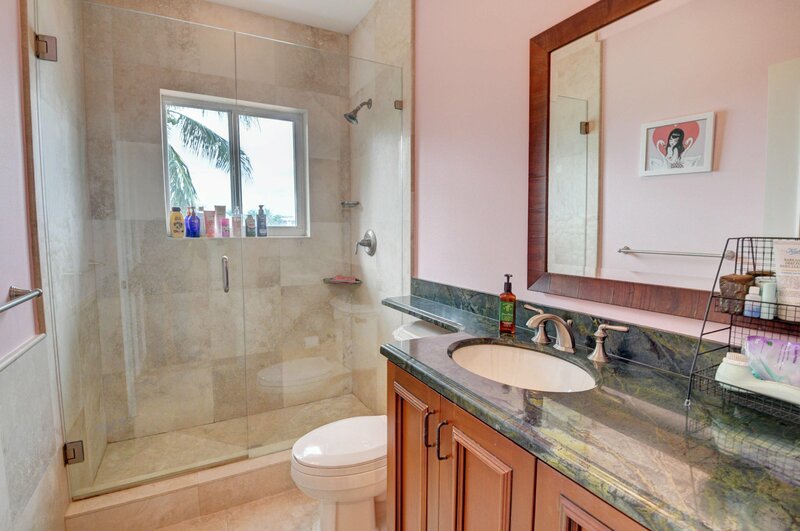 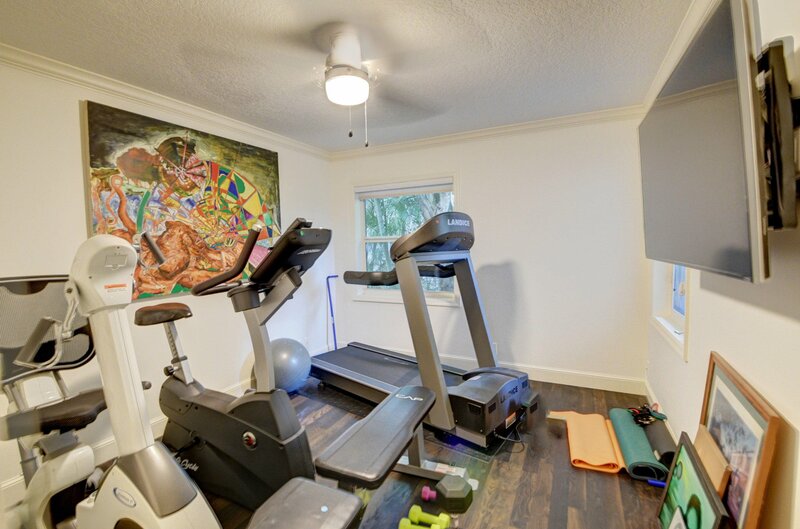 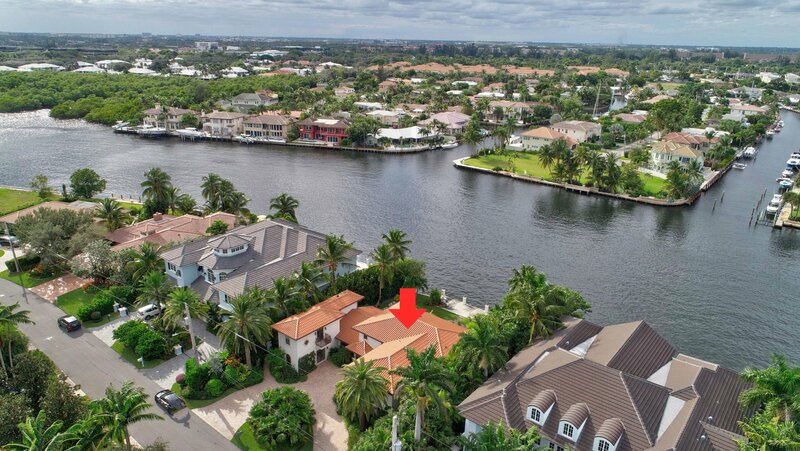 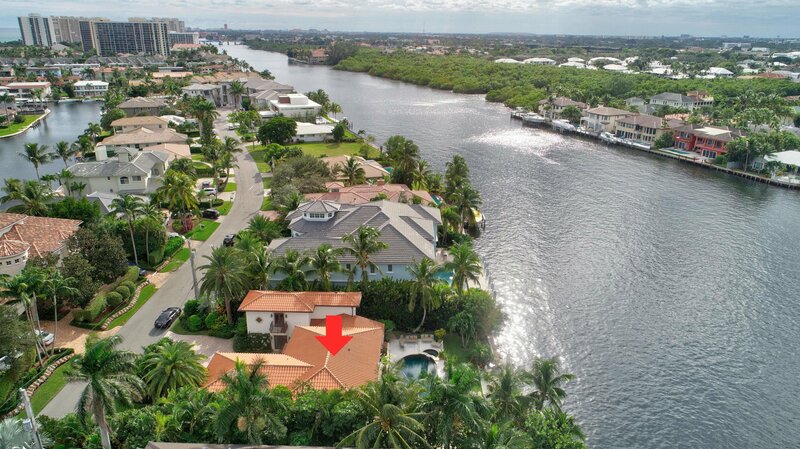 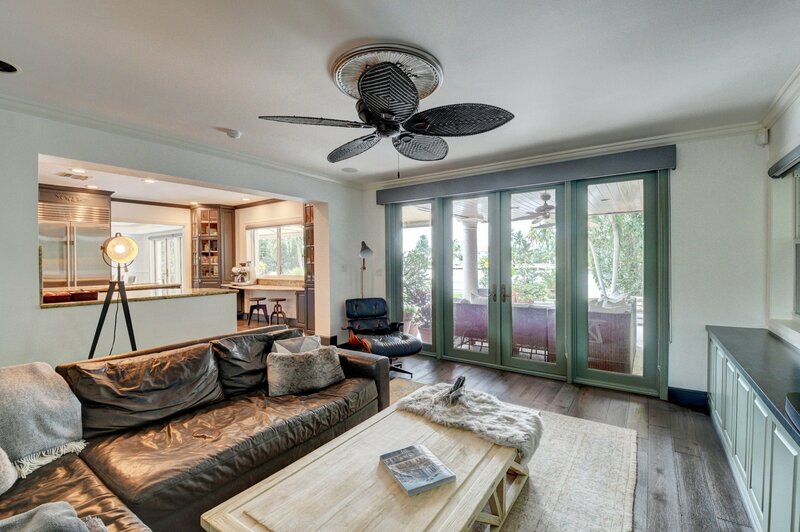 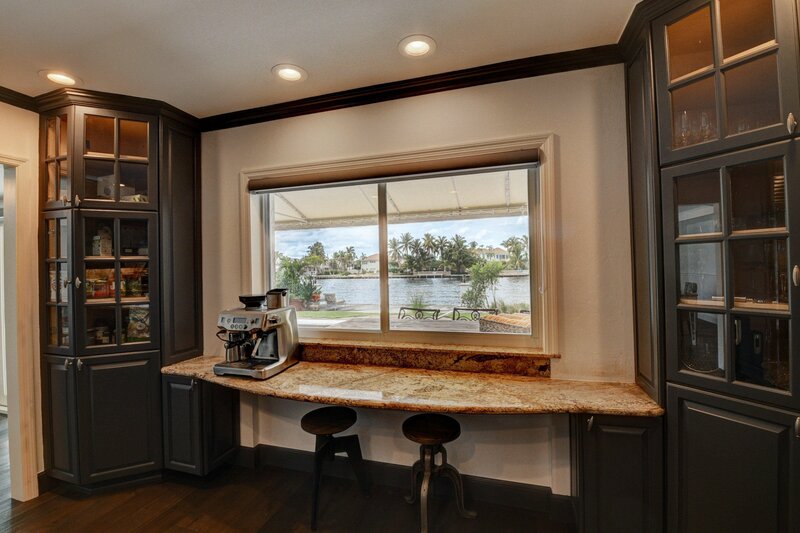 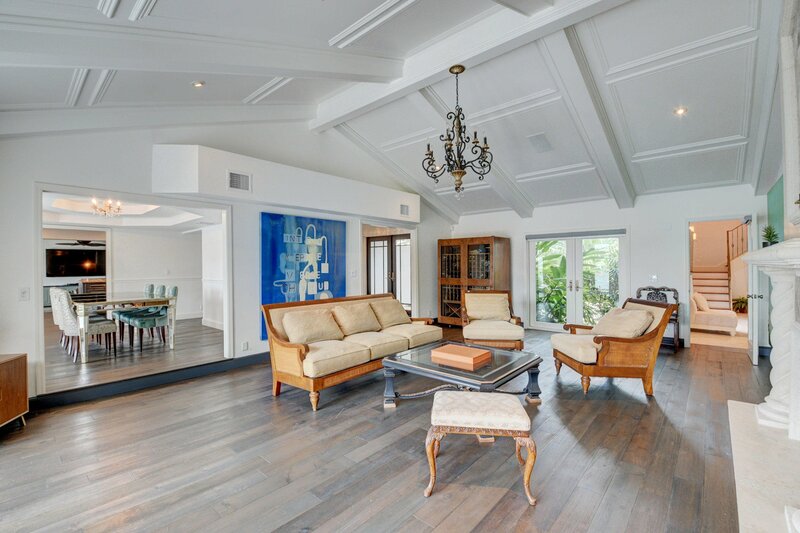 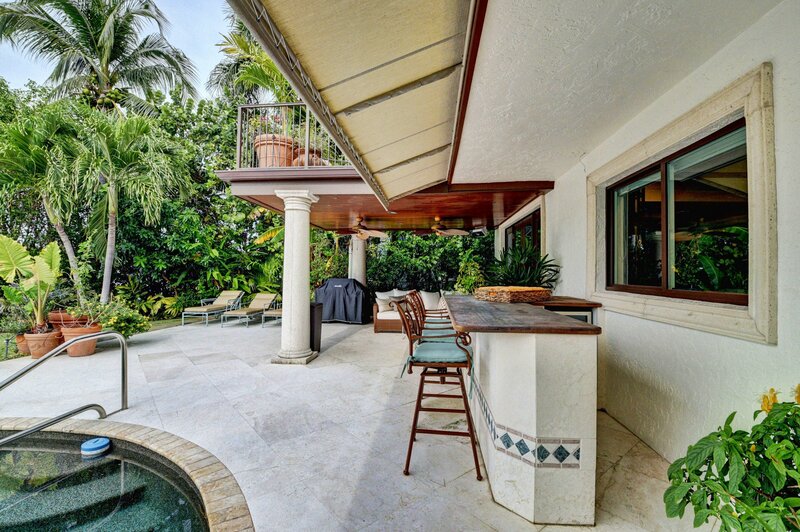 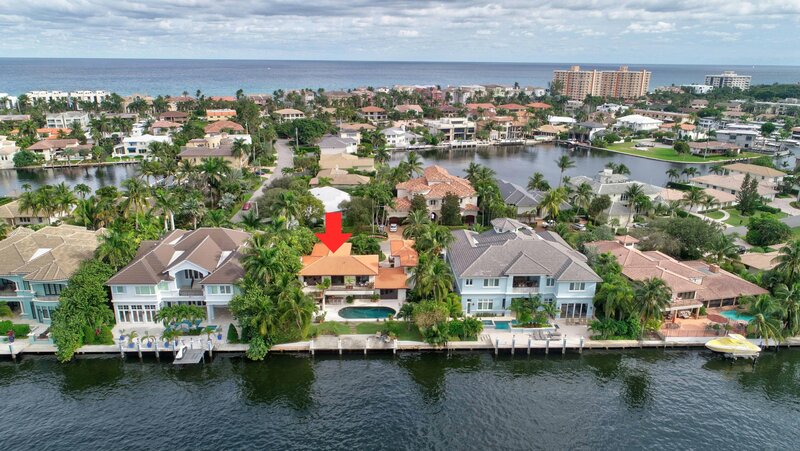 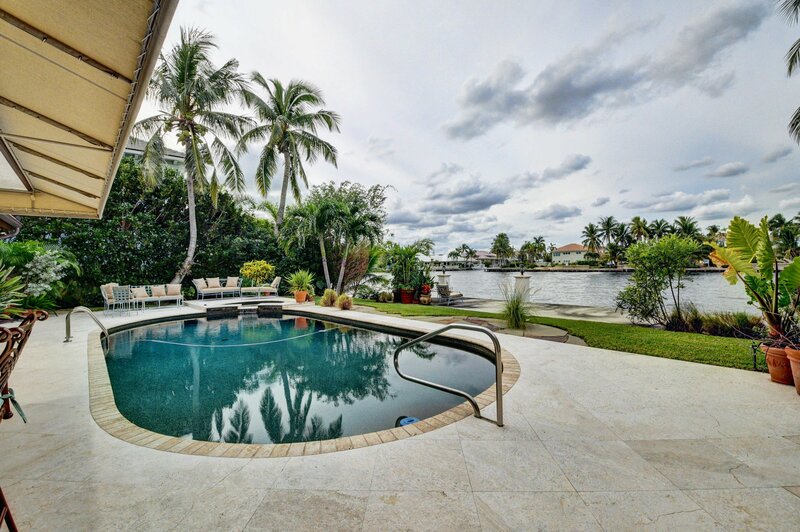 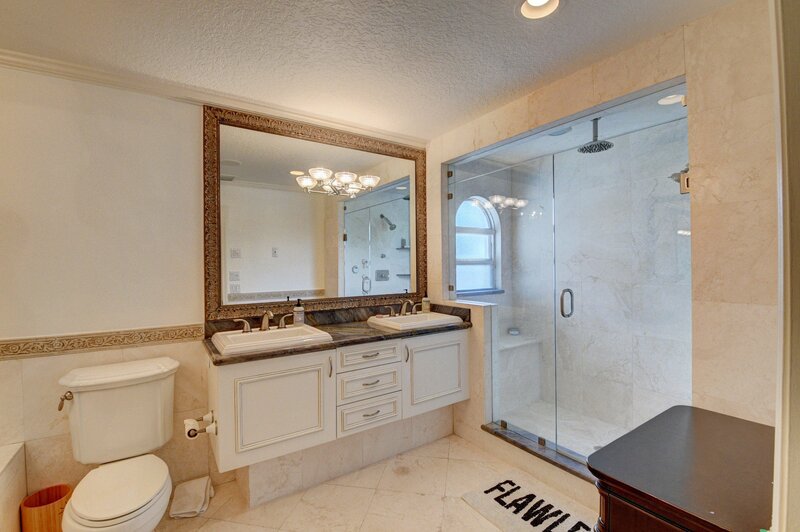 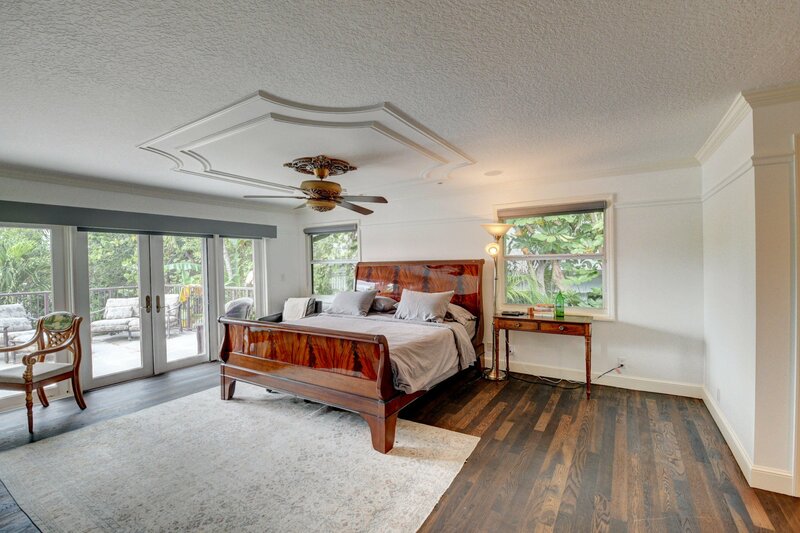 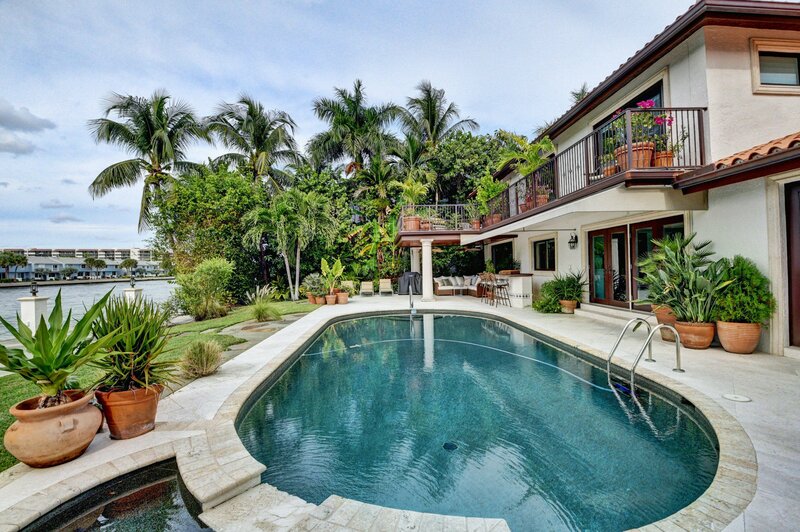 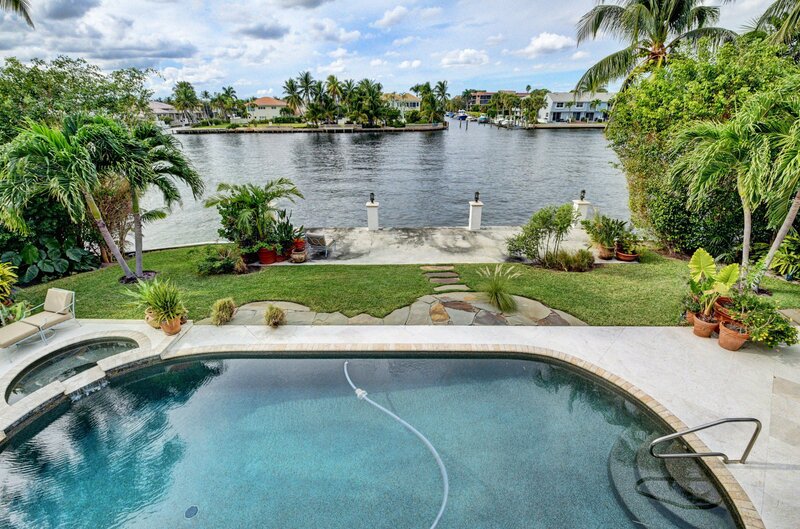 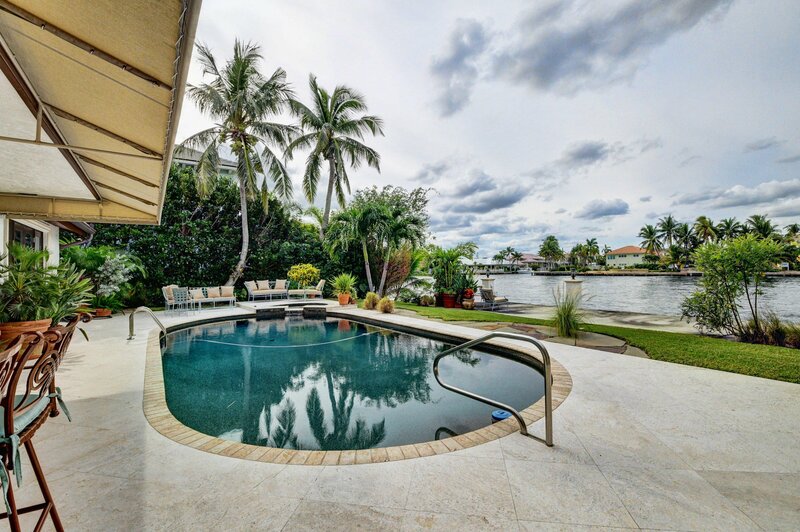 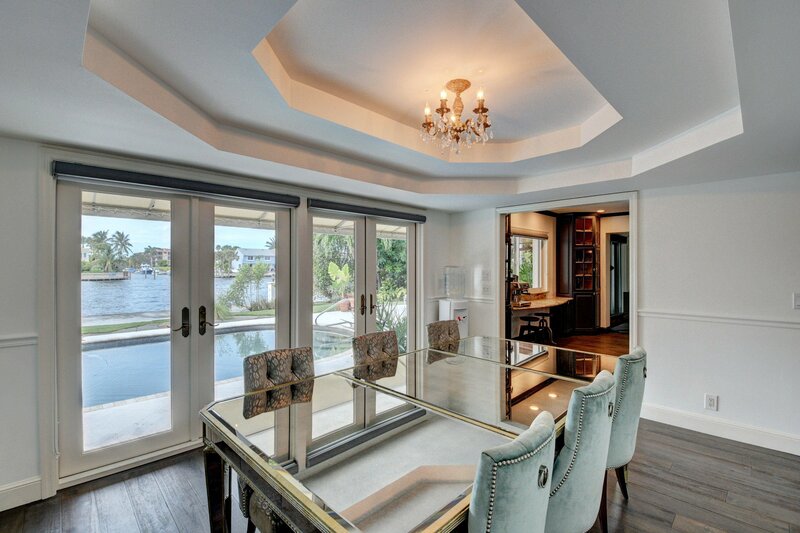 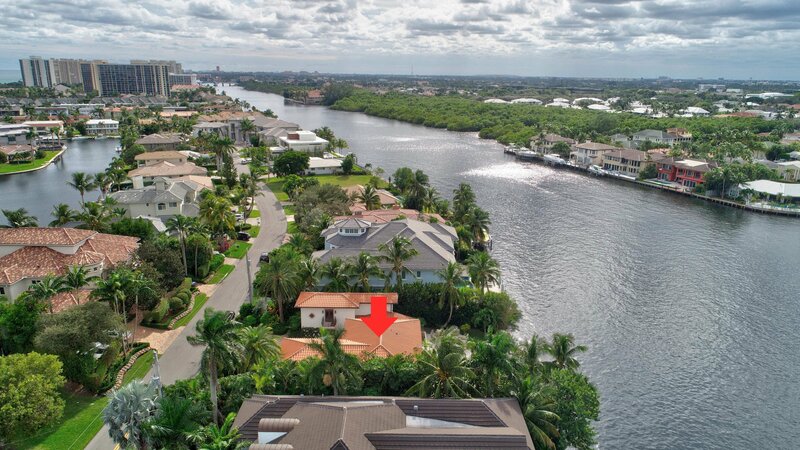 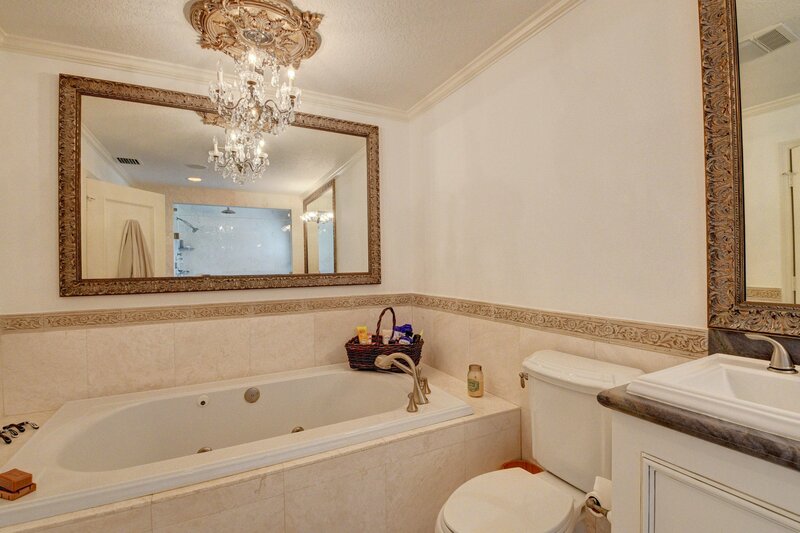 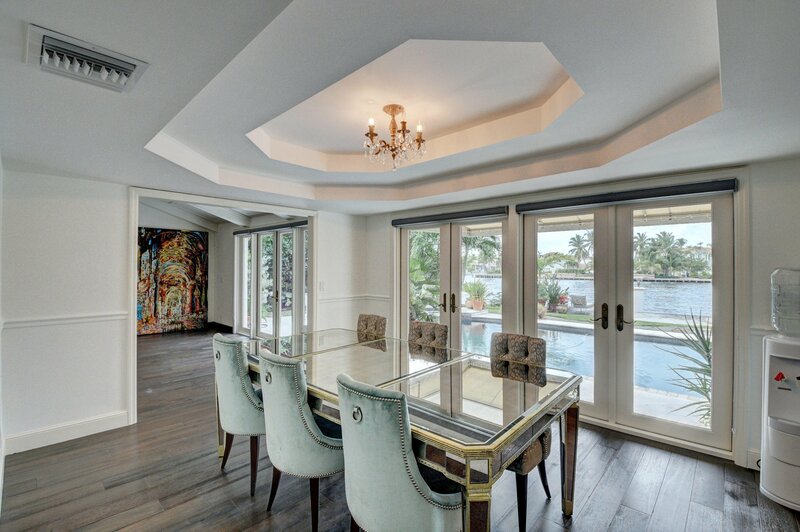 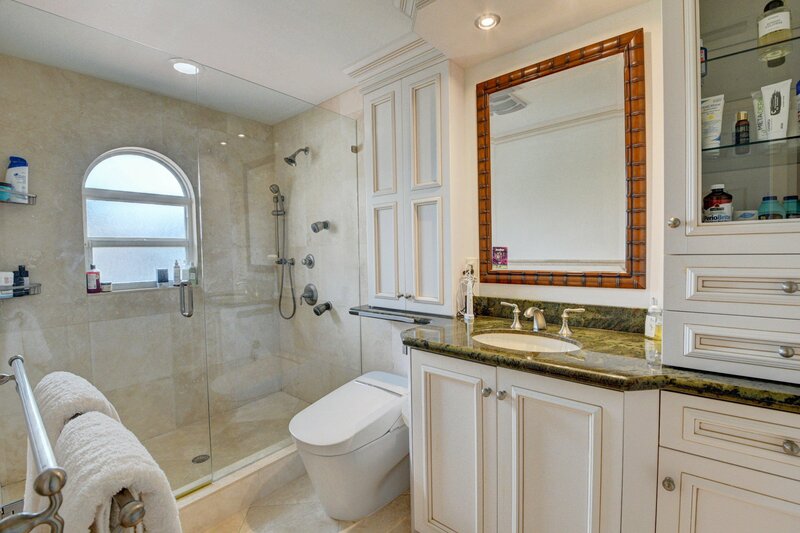 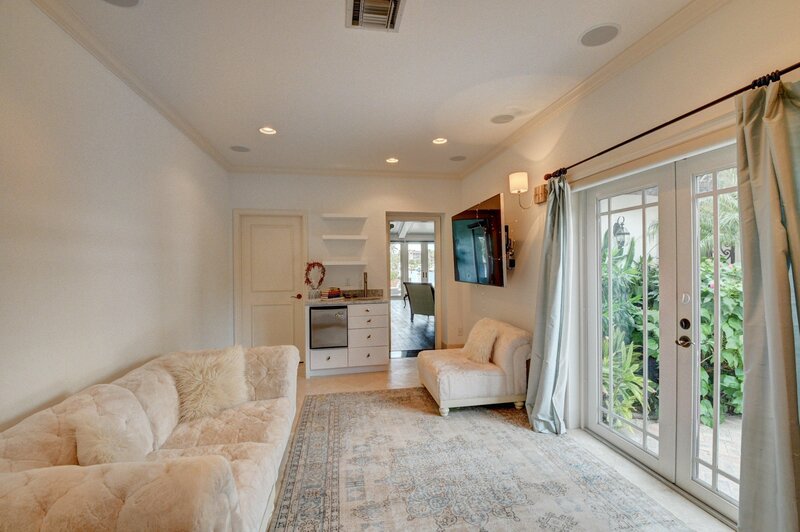 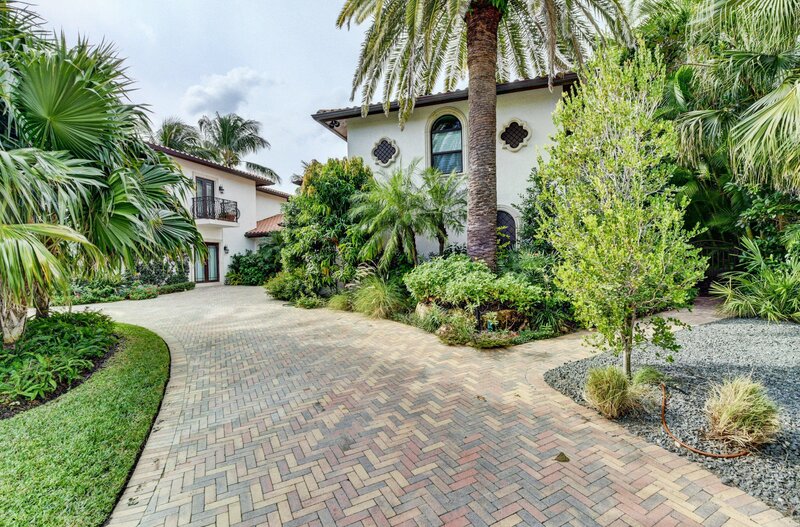 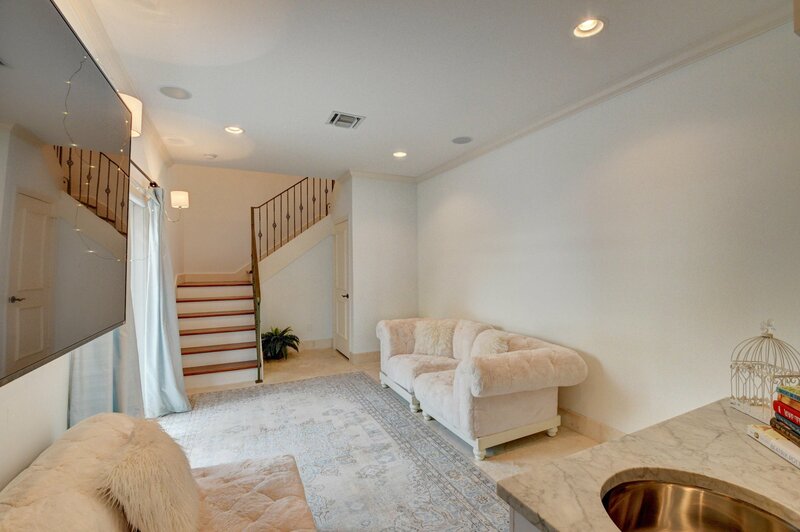 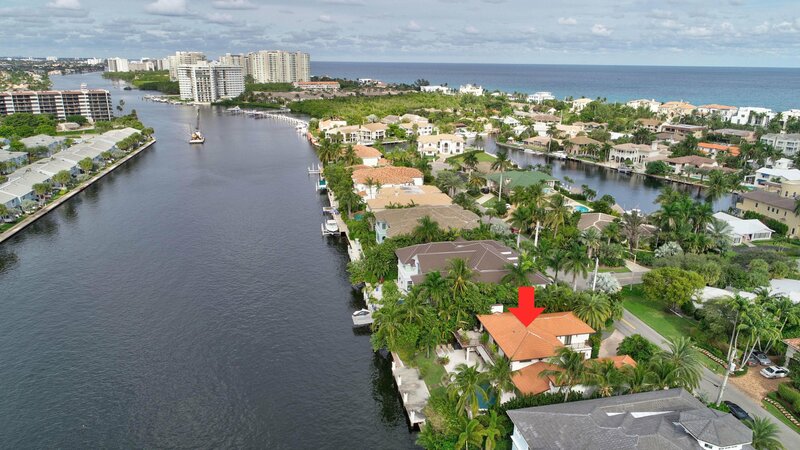 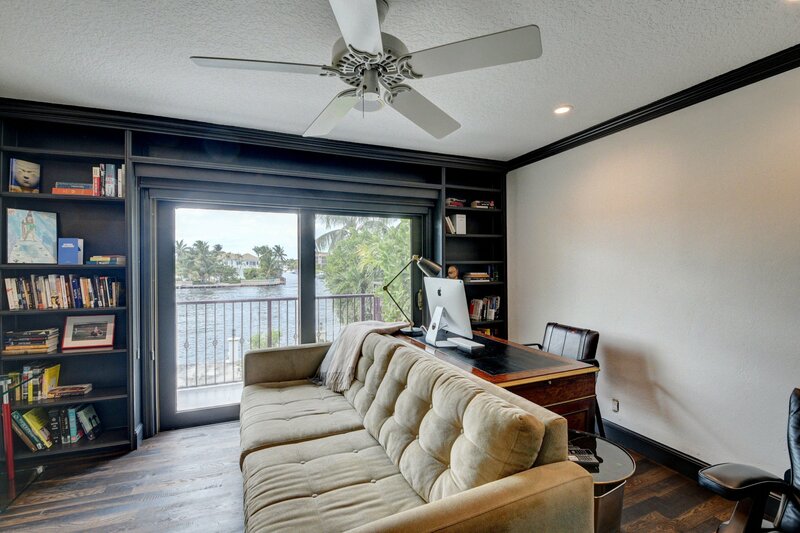 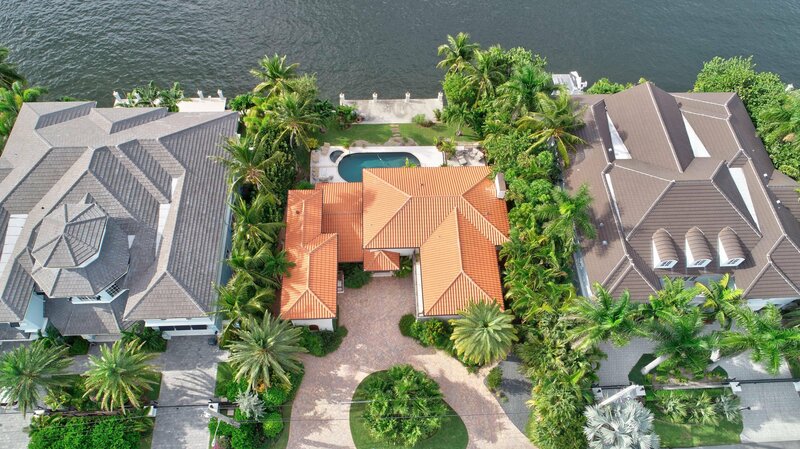 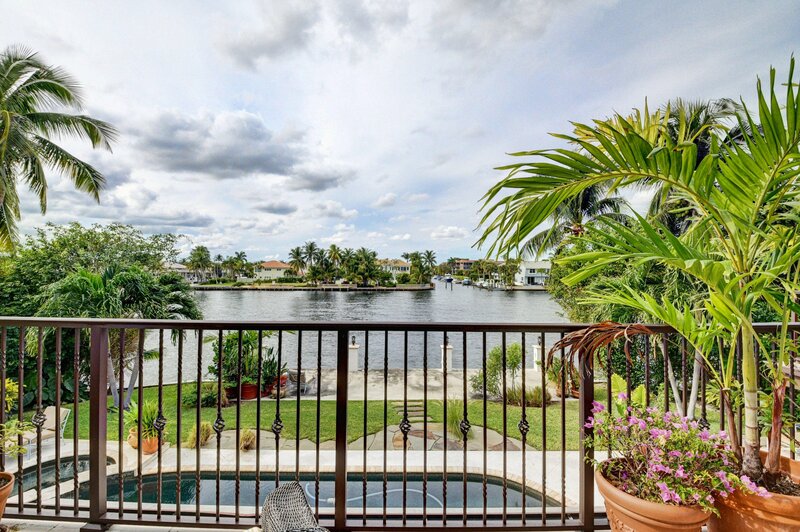 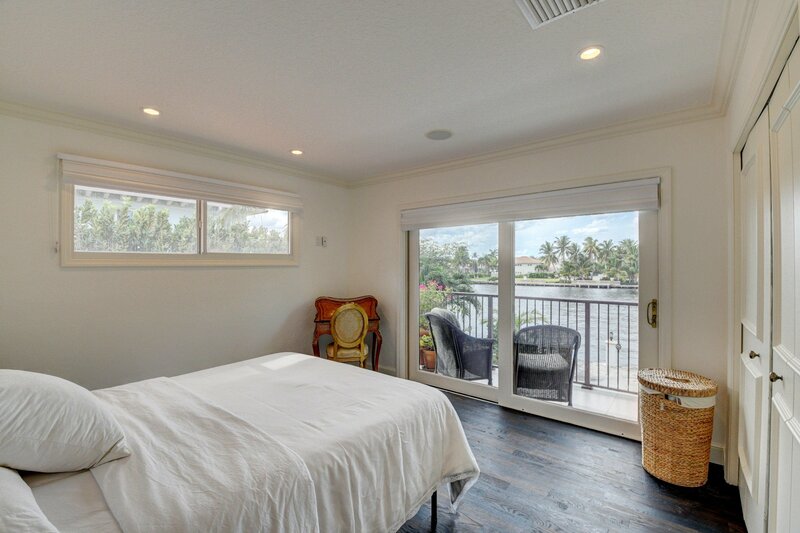 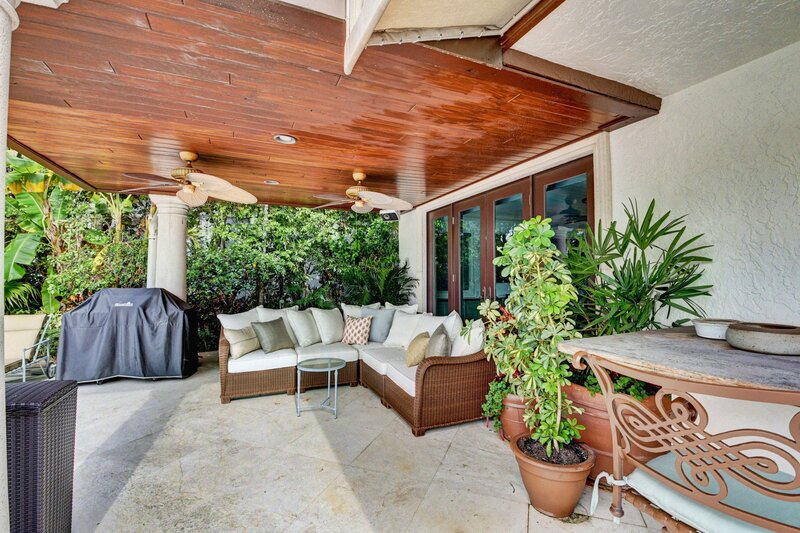 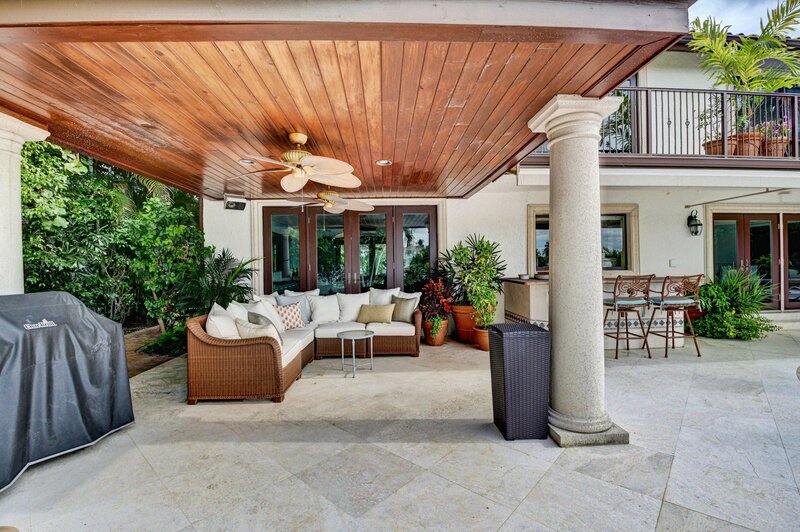 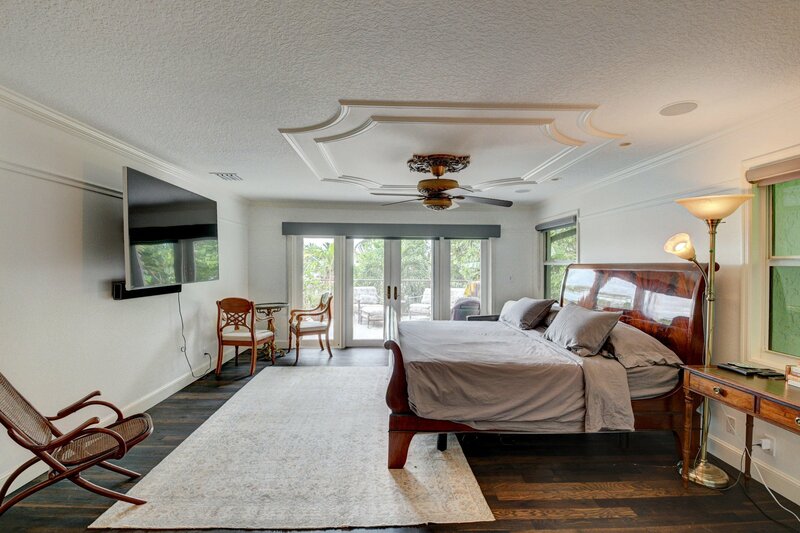 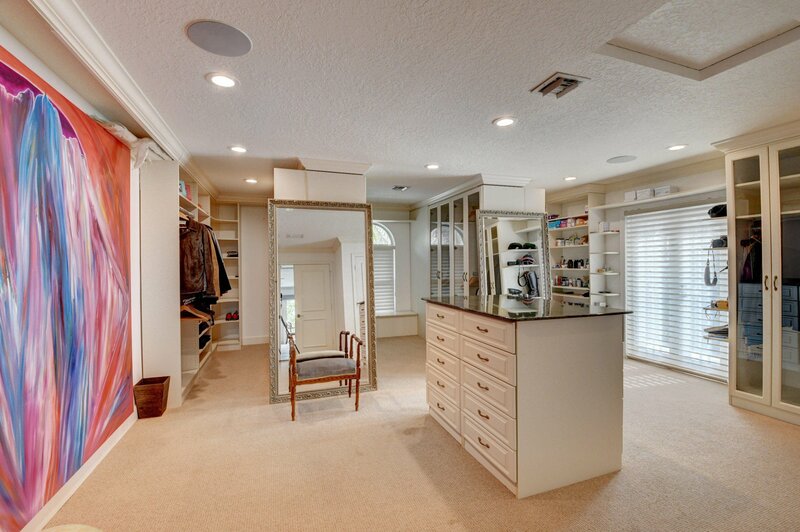 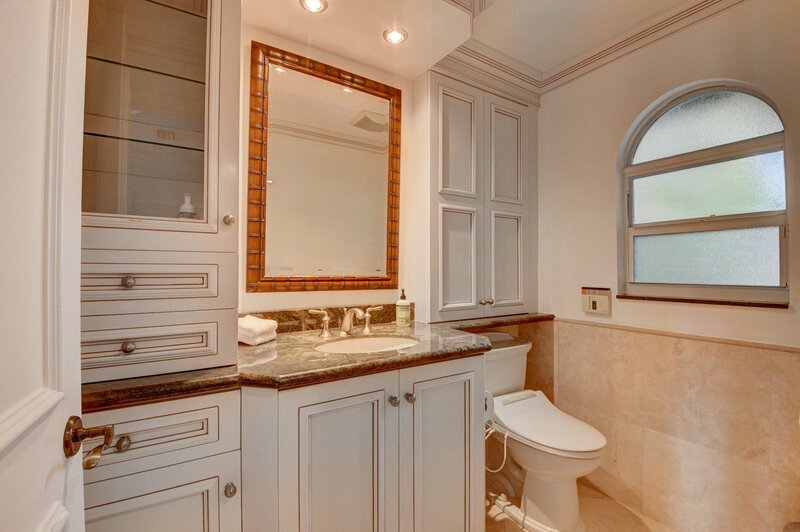 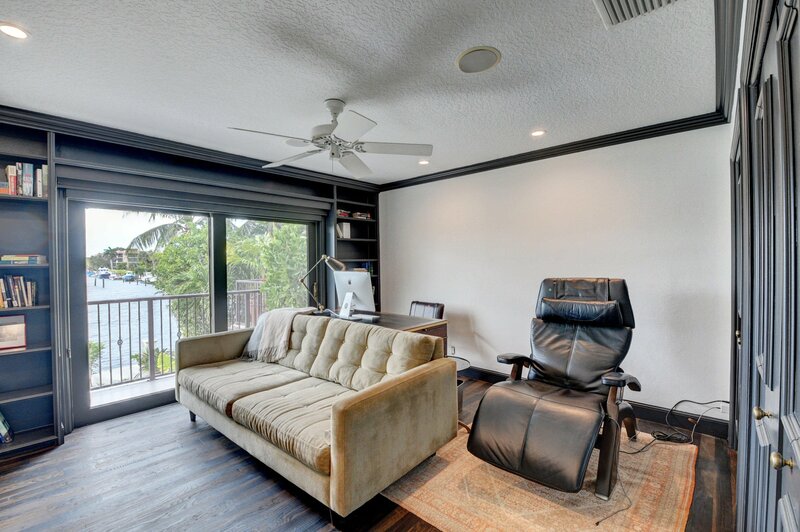 Direct Intracoastal Home totally renovated with separate guest house and family room additions in 2000. 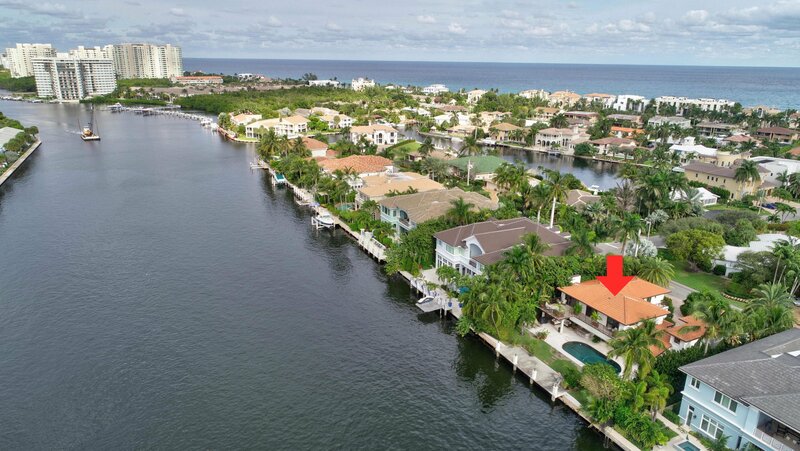 Recent updates throughout this home make this a beachside haven for your most discriminating buyer. 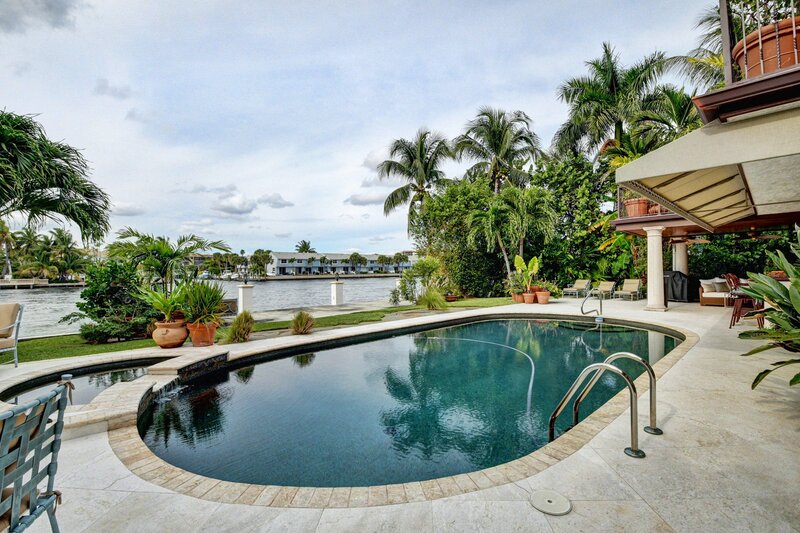 Unbelievable value on the water. 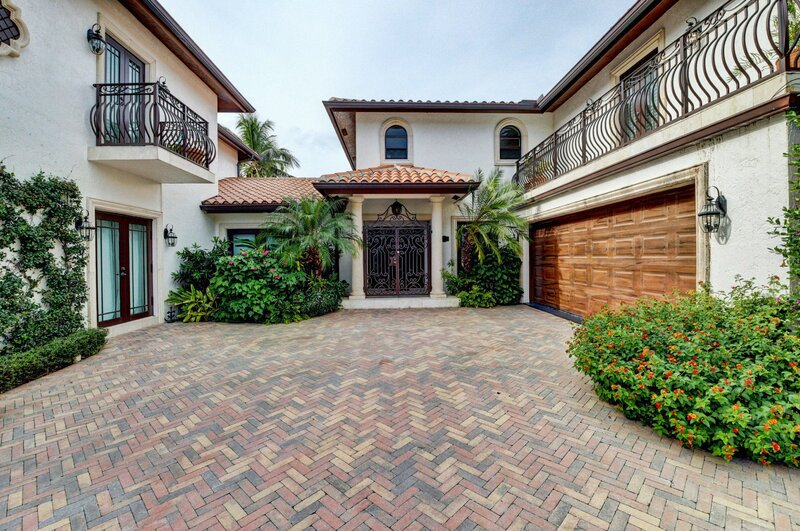 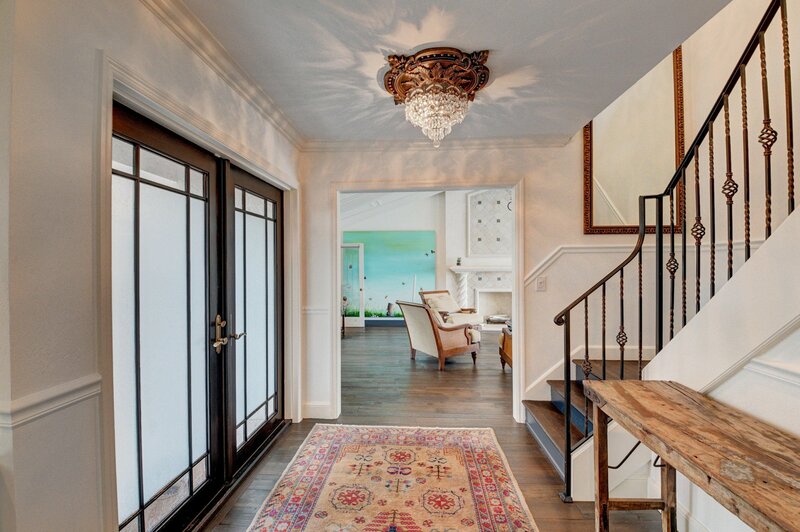 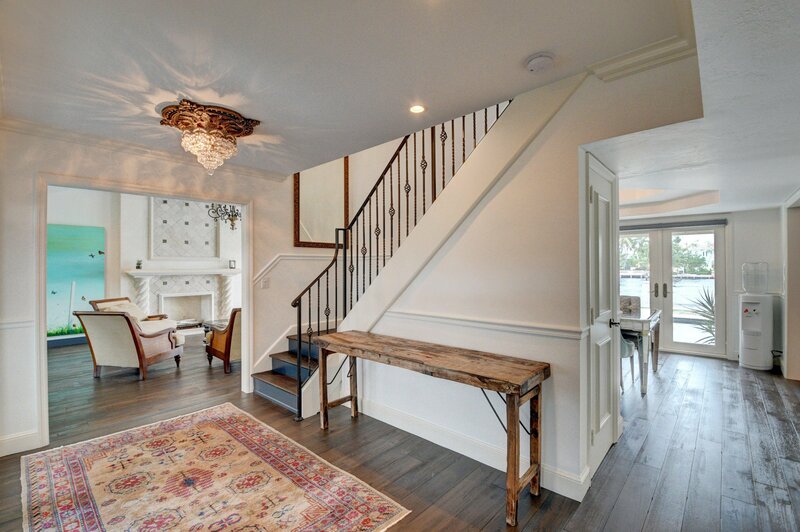 Elegant and charming describes this beauty in Highland Beach. 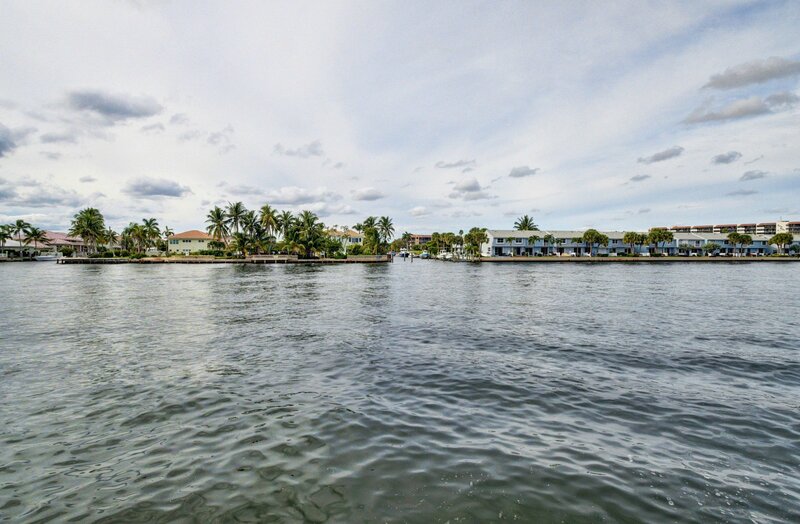 It has beach access a few steps away and panoramic ICW vistas. 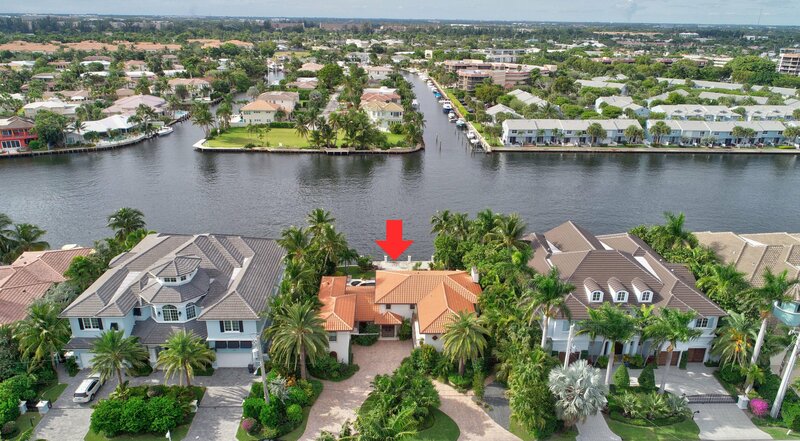 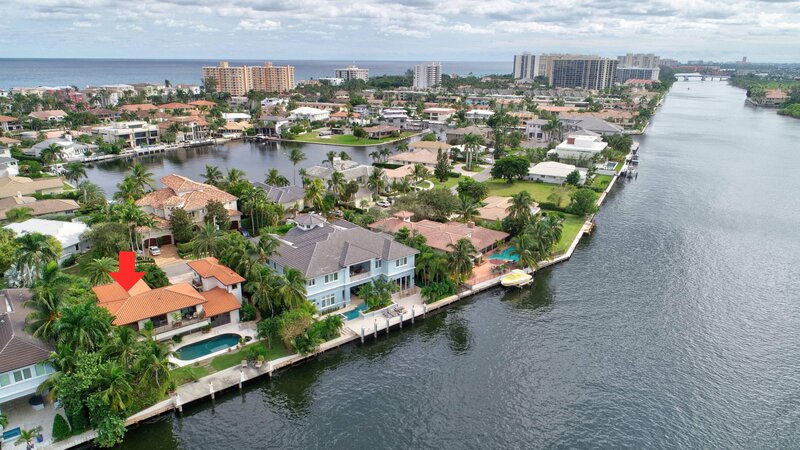 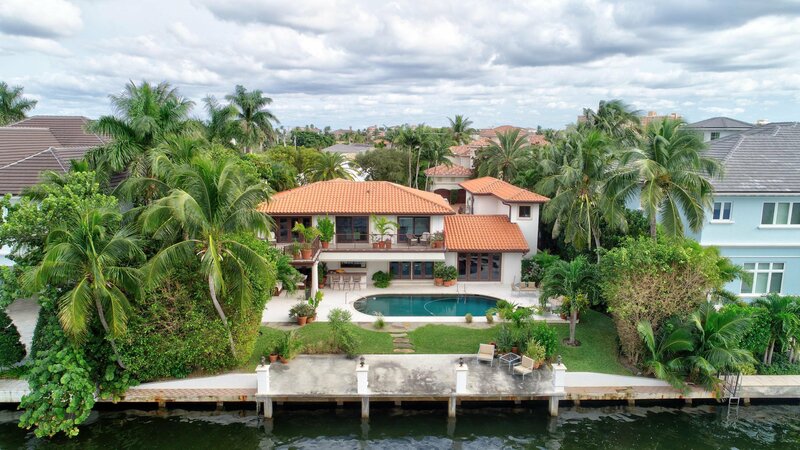 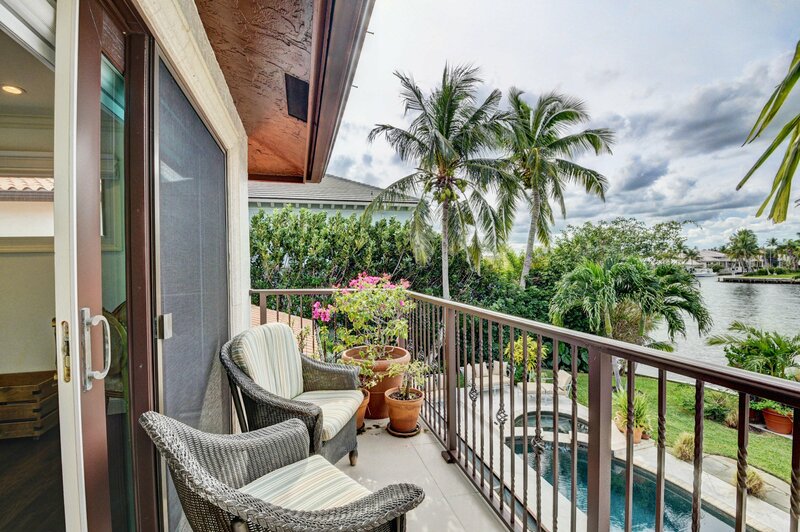 You have 95ft of direct ICW waterfront, recently updated pool, covered lanai for entertaining and separate cabana bath for the Florida outdoor lifestyle, impact windows & 25kw generator. 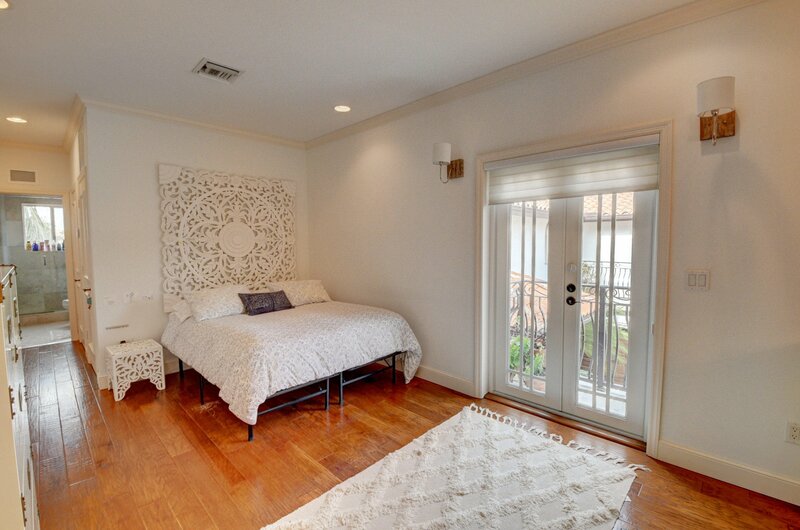 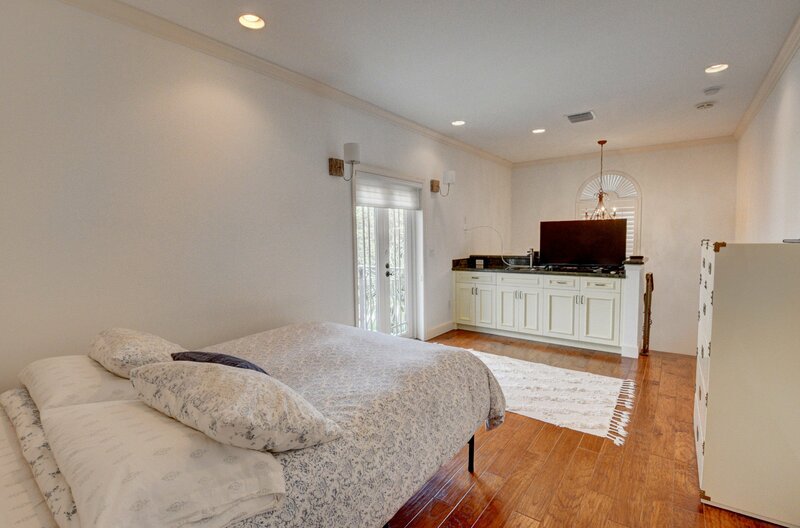 The main house has 4 br, 4.5 baths and the charming guest house has 2 BR & 1 full bath. 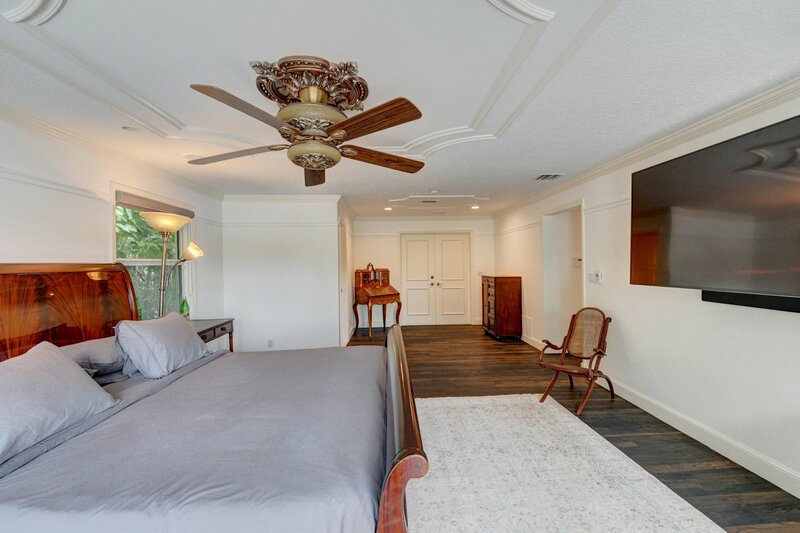 Upon entering the living room you are welcomed by high vaulted ceilings, decor fireplace, new wood flooring, french doors leading to the pool and patio with expansive water views. 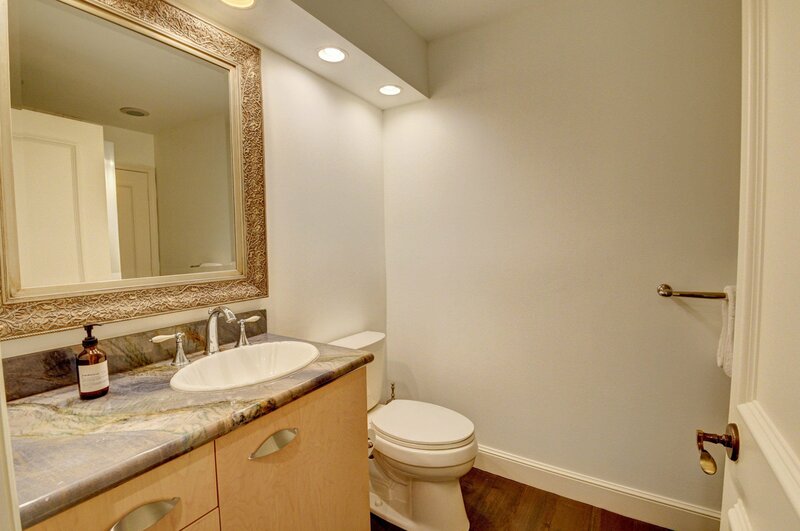 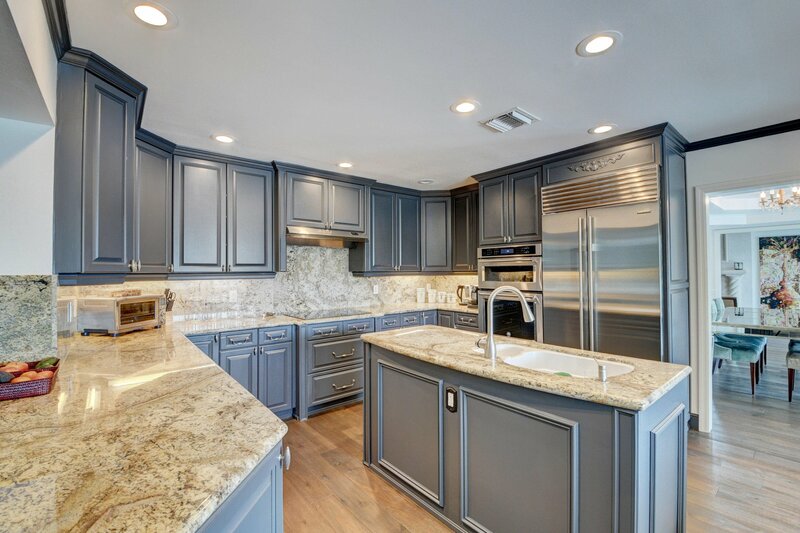 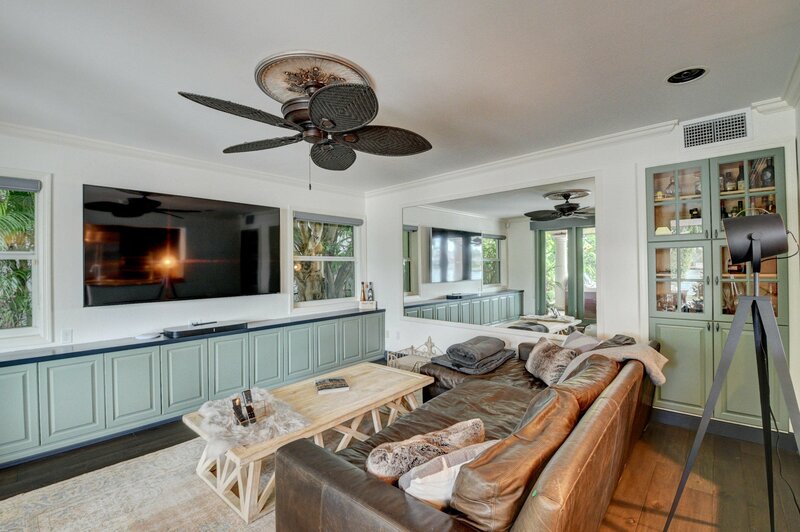 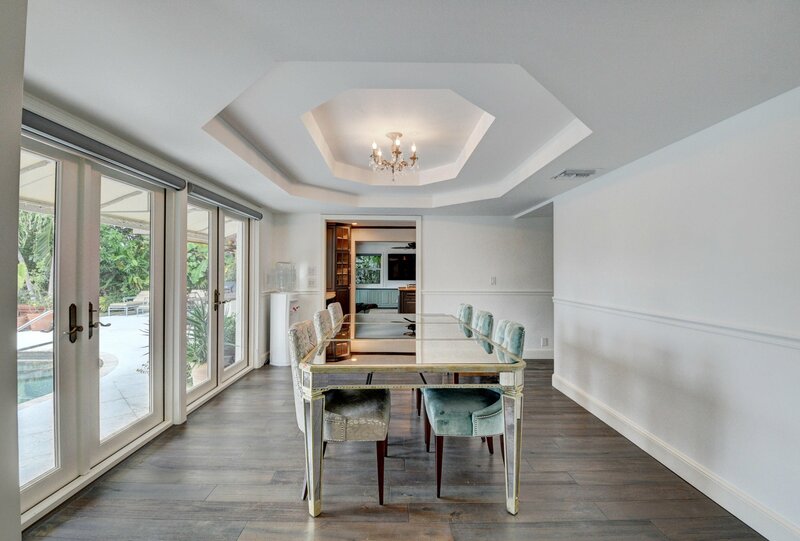 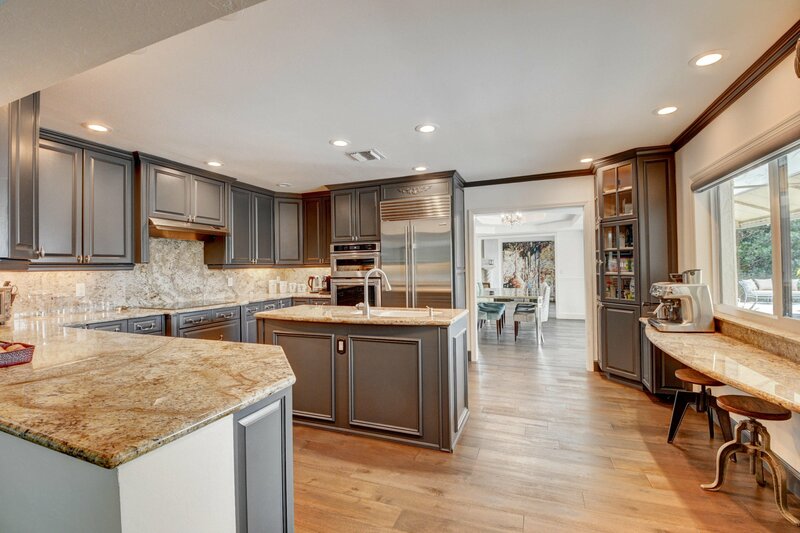 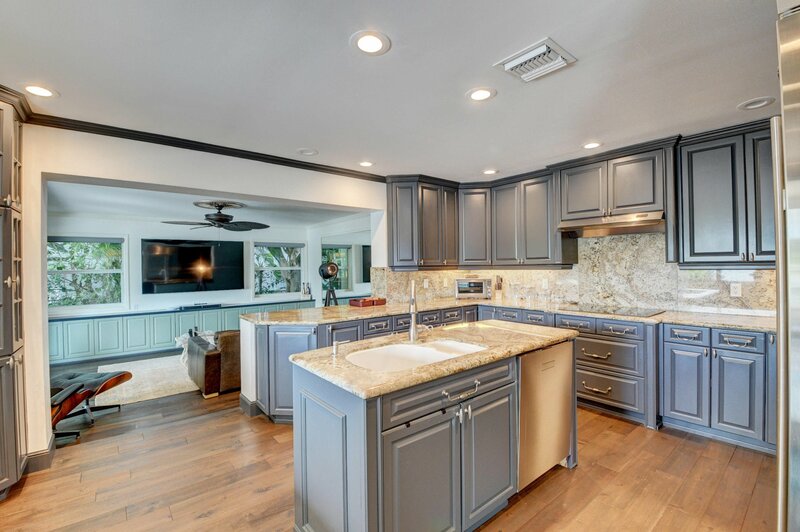 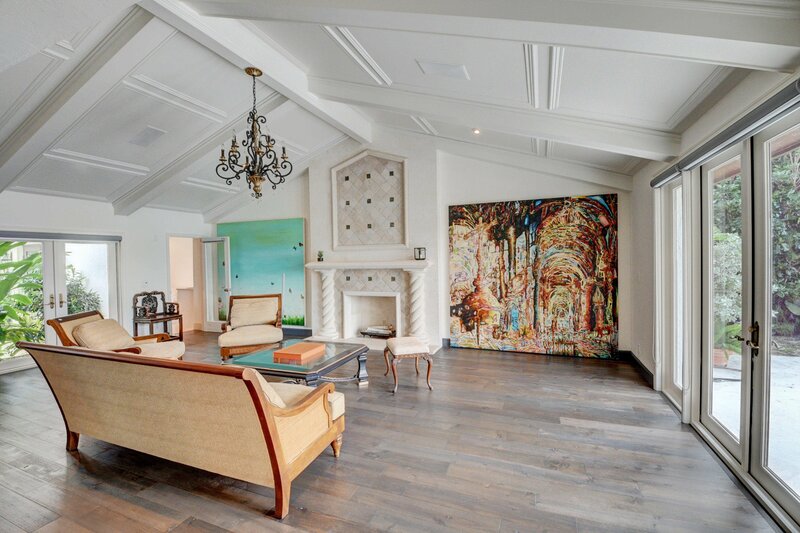 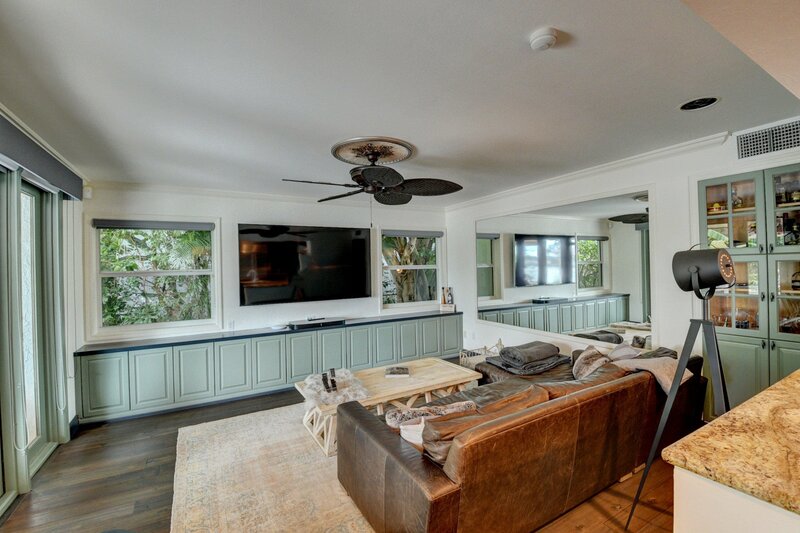 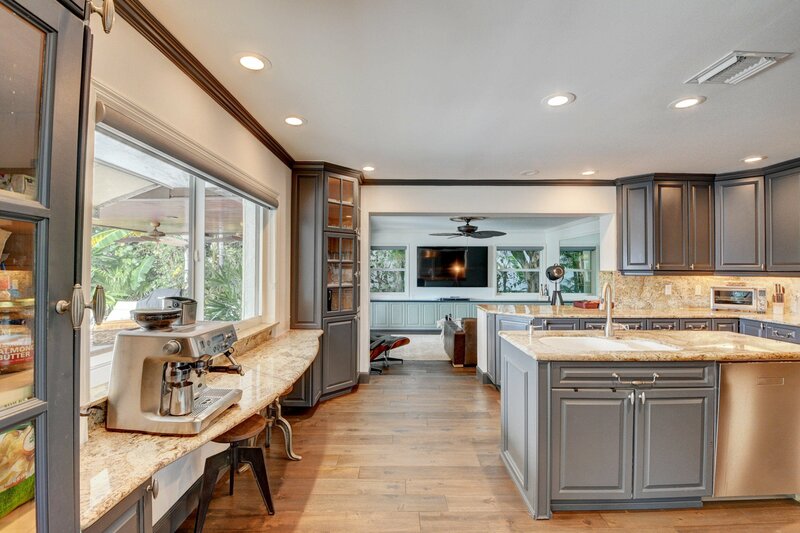 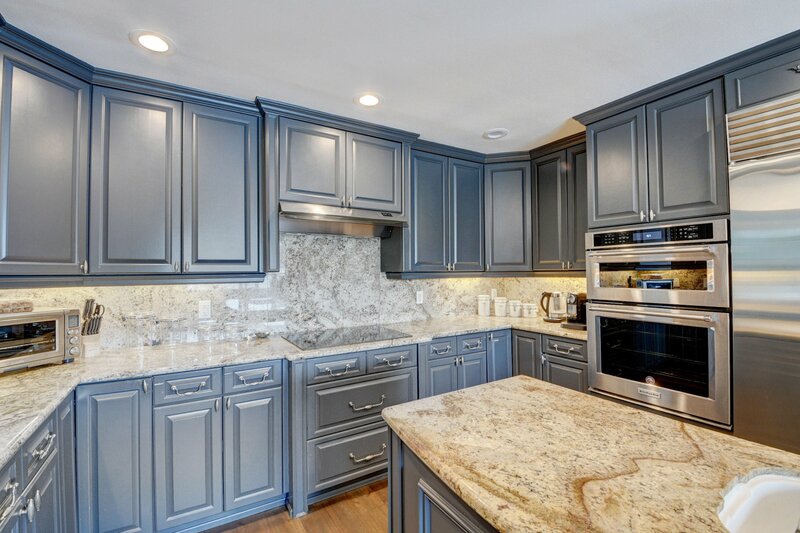 This sophisticated residence was recently painted inside and out, and has new appliances with updates in the kitchen. 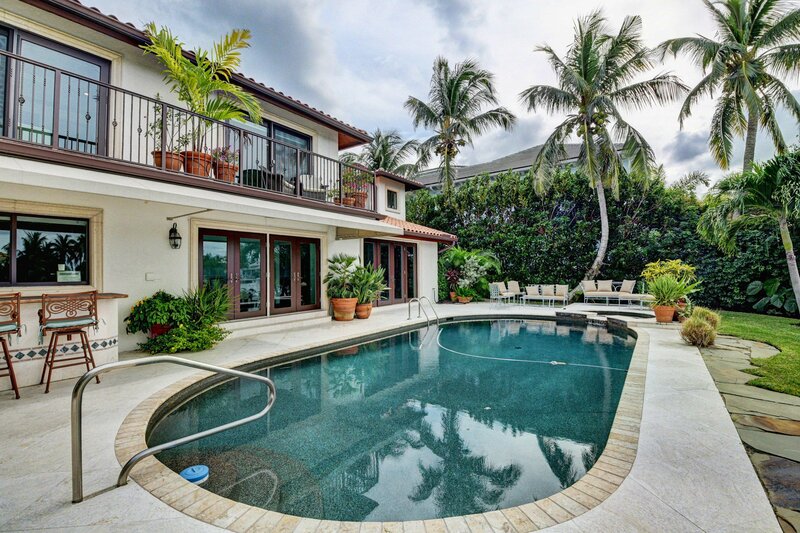 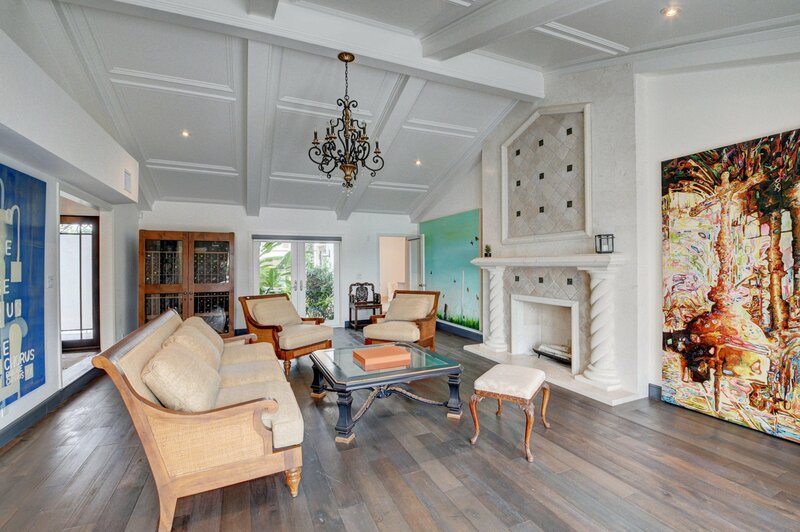 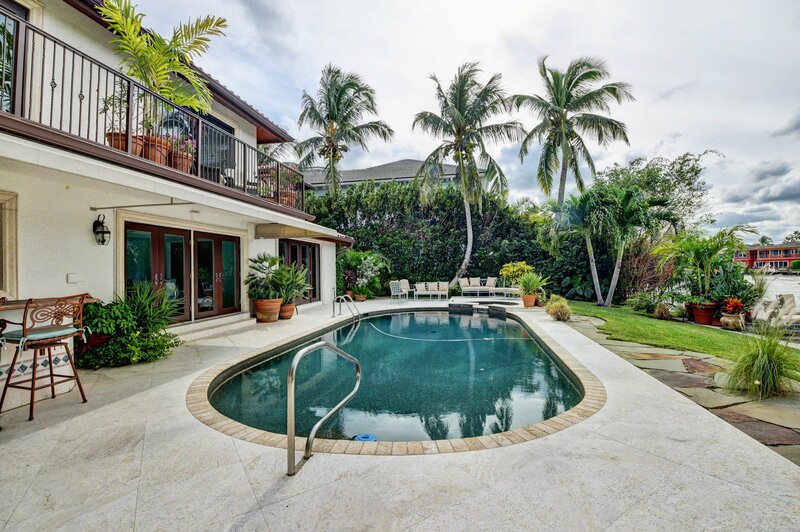 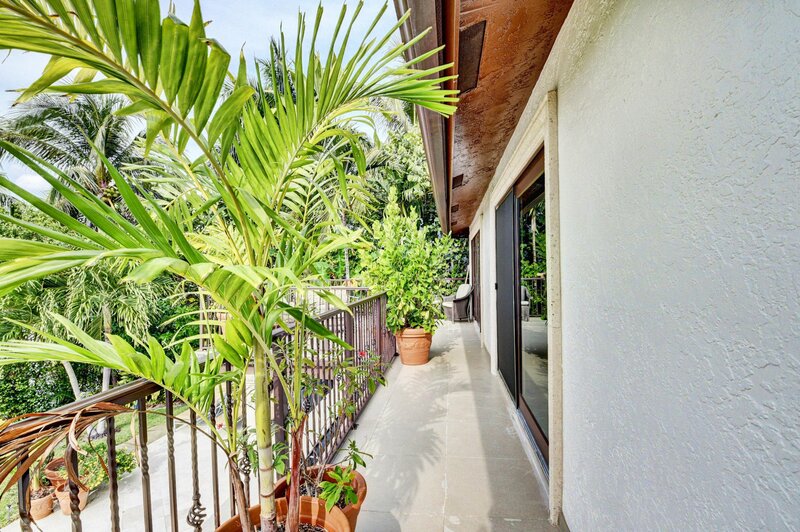 This beachside retreat is located in Bel Lido, the most sought after development in Highland Beach.